Scientists recently announced that Antarctica is home to many more penguins than previously thought, with research by a team of Australian, French and Japanese scientists estimating the continent's population of Adelie penguins at millions more than previously thought. With this in mind, Australian Antarctic-specialist travel company Chimu Adventures has turned its attention to penguin spotting. According to the company's co-founder Chad Carey, penguins are "a massive draw card" for Antarctic travel. 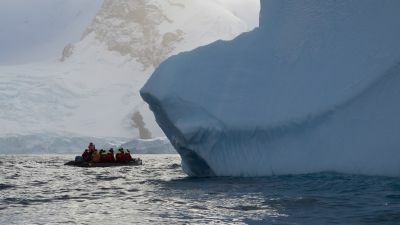 And here, Chimu Adventures suggests its top-five spots for seeing penguins in Antarctica and the Subantarctic. Sometimes called the "Galapagos of the Poles" for its marine biodiversity, this remote island is home to four breeding penguin species, including the world's biggest colony of king penguins. This almost completely snow-capped island hosts an emperor penguin rookery – emperors being the tallest and heaviest of the penguin species. The island is off the east coast of the Antarctic Peninsula. Part of this highly biodiverse area off was protected last year as the world's biggest marine park. Adelie penguins are the most abundant penguin species here. This UNESCO World Heritage site in the south-west Pacific between New Zealand and Antarctica is home to the world's largest population of royal penguins, which are endemic to the island. Five penguin species breed on this South Atlantic archipelago: king, rockhopper, magellanic, gentoo and macaroni penguins. The islands are to the east of South America's southern Patagonian coast. For more, go to chimuadventures.com or phone 1300 720 564.